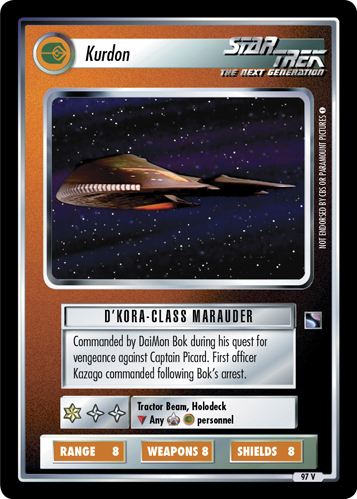 Bok could not forgive Captain Picard for the death of his son. 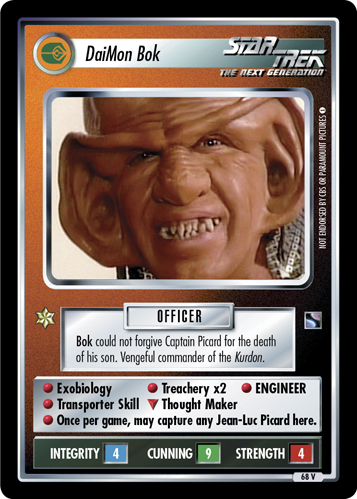 Vengeful commander of the Kurdon. 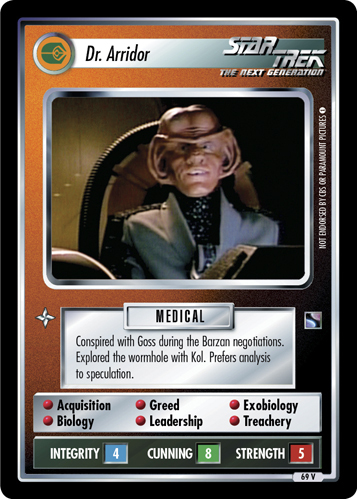 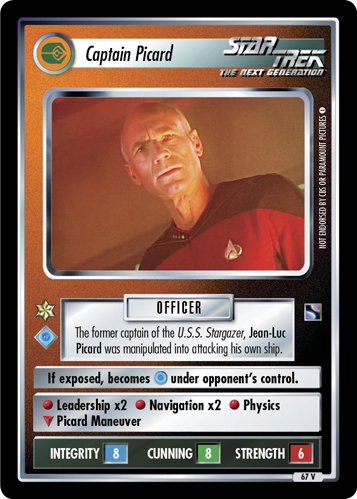 • Exobiology • Treachery x2 • ENGINEER • Transporter Skill ∇ Thought Maker • Once per game, may capture any Jean-Luc Picard here.